Riviera Trains' Br Two Tone Green 47812 currently on hire to DCR in miserable conditions rounds the curve at Thornwell whilst powering the 5Z47 09:15 Burton Wetmore to Cardiff Canton Pullman Rail consisting of six Cargo D blue/grey coaches on the 14th April 2012. The coaches are believed to be for Arriva Trains Wales although this is unconfirmed. 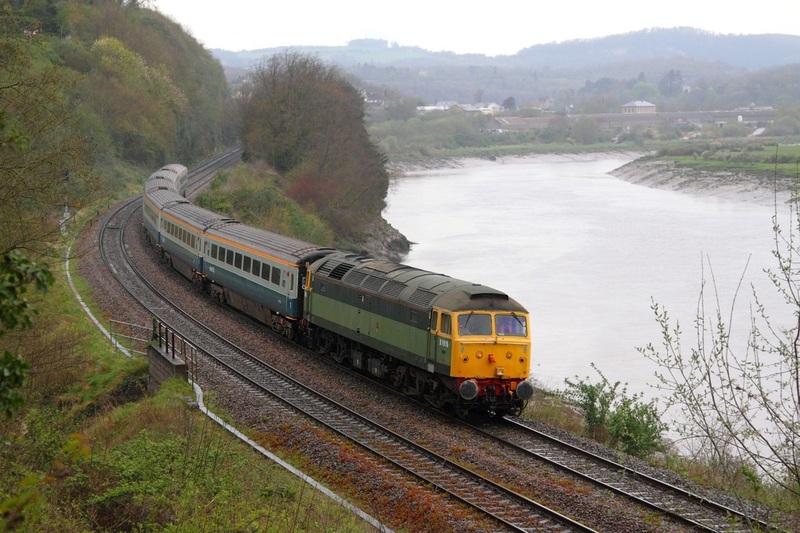 On the 14th April 2012, Riviera Train's Br Two Tone Green liveried 47812 (D1916) worked a 5Z47 Burton (Nemesis Rail) to Cardiff Canton consisting of six Cargo-D Blue/Grey coaches. 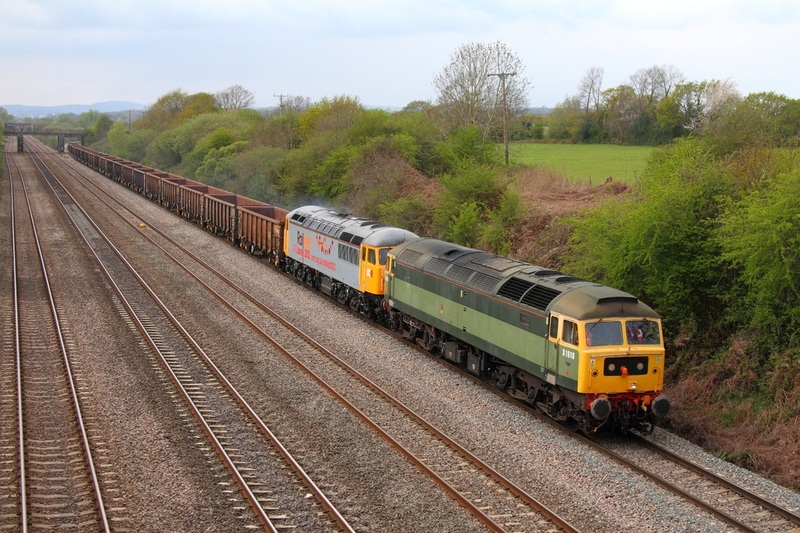 The Brush Type 4 then returned north by pairing up with 56312 which had worked the 6Z34 down on Thursday (click here for photographs). 47812 on hire to DCR/BARS leads Railfest advertisement branded 56312 on the 6Z56 13:35 Cardiff Tidal to Stockton empty scrap at Thornwell. 56302 remains in Cardiff Central.